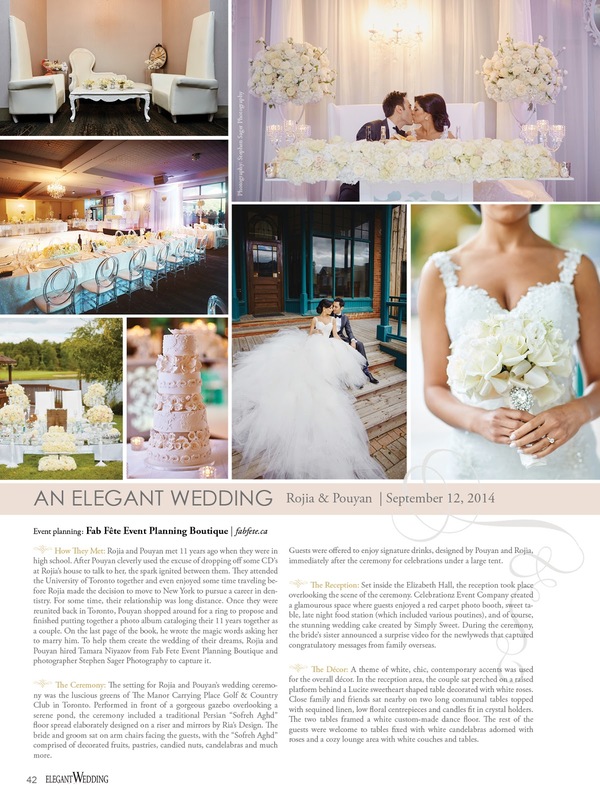 Rojia & Pouyan’s wedding was an absolute stunner and we are so excited to have it featured in the Spring/Fall issue of Elegant WeddingMagazine, which hits newsstands on June 22nd! 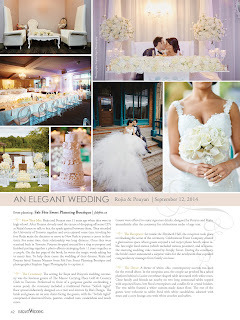 Rojia & Pouyan got married on September 12th at the gorgeous venue, The Manor by Peter & Pauls. The ceremony was held outdoors overlooking the water and it could not have been more beautiful! The elaborate and detailed Sofreh table, designed by Rias Designs, looked very elegant amidst the serene background. Once inside, the guests were awed by the all white décor designed by Celebrationz Couture Floral and Event Styling. The sweetheart table and chairs, by Detailz Couture was breathtaking and very unique! Stephen Sager did a fabulous job capturing the wedding and DJ Bliss and DJ Dynamite made sure the guests had a blast, dancing the night away!